The tri-axial HOLMER Terra Dos T4-40, with its absolute attention to detail, will convince all. 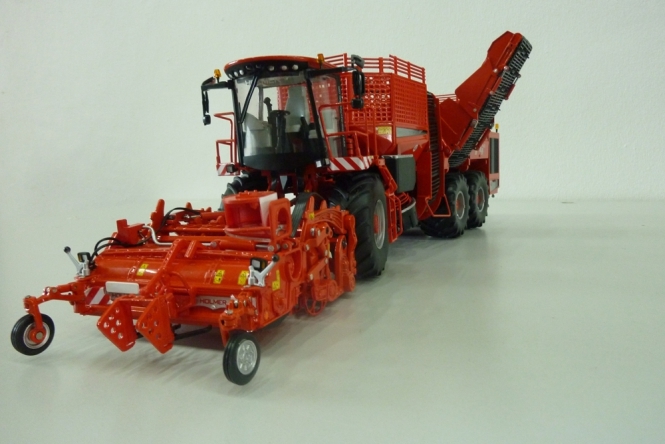 The machine of the year is now available as a 1:32 model from ROS! 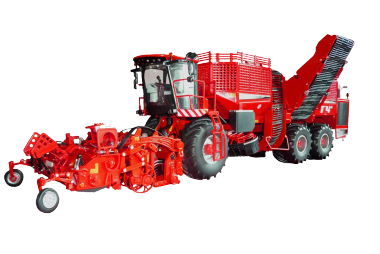 The sugar beet harvester has soil protective rubber tires. As with the original, the model also has articulated steering. 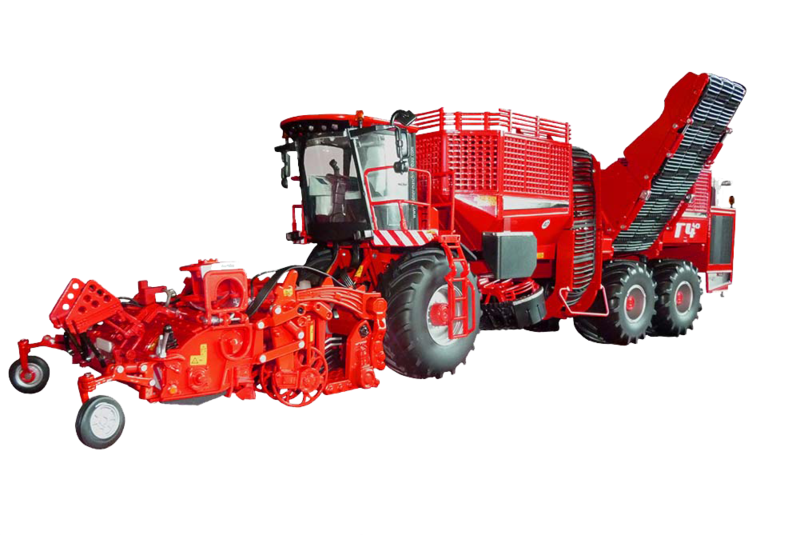 The HR lifter unit is – just like the original – adjustable. Leaf feeler and centrifuge can be folded out. The discharge elevator can either be completely folded or brought to unloading position, in this way the holding tank auger is also folded in or out. 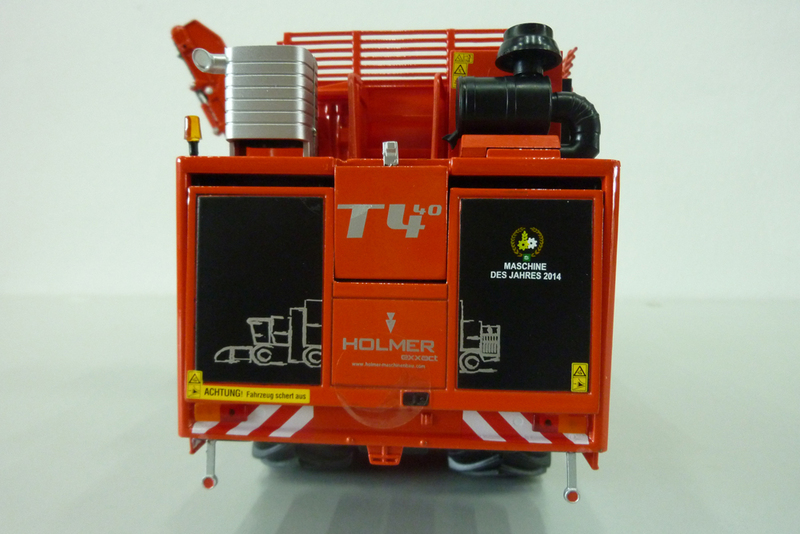 The engine compartment at the rear is easy to open: the engine room located behind is copied in detail and the access ladder can also be folded out. 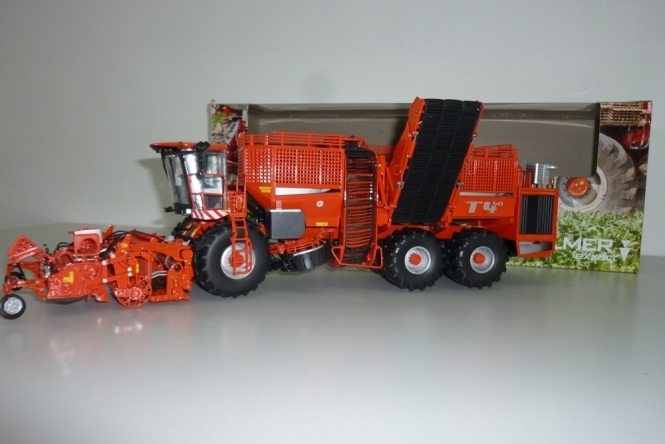 The miniature Terra Dos T4-40 is a true-to-scale collectors model and due to its many detailed, true-to-original replica is not suitable as a children’s toy.